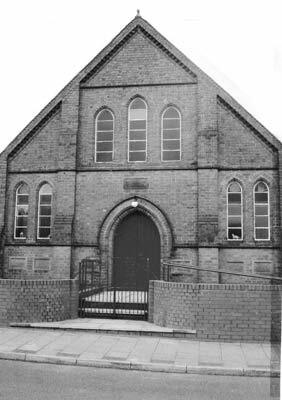 The first Church on the site in Union Street, dating from the latter half of the 19th century, was opened in 1879, this was the old building that stood to the rear of the present Church and later became the Sunday School. The “new” Bethel Church, which is still in regular use, was built in 1909 and was sited nearer to the road. Over the years it has seen many changes, the original Pipe Organ, which was initially pumped manually via the Vestry, was removed in 1978 and the Pulpit was re-sited to where the organ once stood. All the original pews have been replaced by chairs and the church was subject to major repair and restoration work in 2010 due to damp problems. It certainly has “soldiered on” and today is used not only for worship but also as a community facility for other activities, in fact the Bridgtown and District Local History Society use it regularly for team meetings.